Inspired by ancient pottery design is the harmonious Blue and White Pumpkin Jar, made from solid ceramic with a glazed exterior. 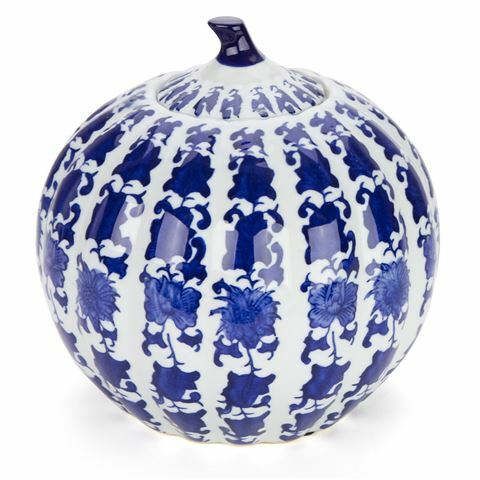 Decorated with sprawling blooms in blue and white, this jar recalls ancient Chinese artworks, and is ideal for lending some Oriental charm to your home. Decorated with an Oriental, floral pattern. Dimensions: 24cm (w) x 24.5cm (h).